November 2017, West Hartford, CT – American Institute’s West Hartford campus has found a creative way to share the spirit – and the flavors – of Thanksgiving together. Thanksgiving on a Bun has become a popular campus tradition. West Hartford staff and faculty serve the meal as a way to express their gratitude to the students for choosing American Institute to further their career education. 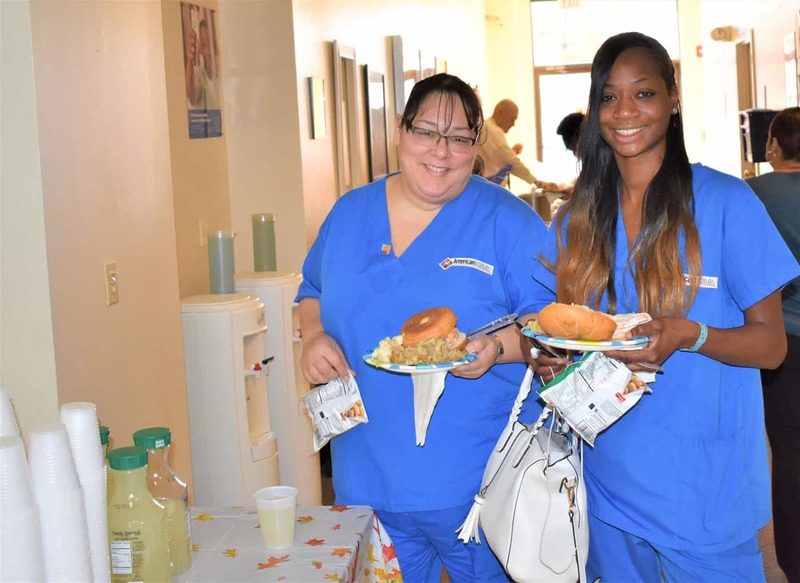 “It’s a way for everyone to have a Thanksgiving moment, and then return to their studies without having to take that traditional post-meal nap,” said Ms. Shaffer. Thanksgiving on a Bun actually happens three times over two days each year – at lunchtime for day students and again two times in the evening, so the entire campus community can participate.